There are people in our villages who would love to come to church or join a group, or who need or like company, or attend an event, go to the lunch club, etc, but who are unable to walk far or at all, or have no transport. Would you be prepared to join together with others to provide such people with lifts to and from? COULD YOU VOLUNTEER YOUR TIME AND TALENTS? to help us deal with a variety of jobs to keep our buildings & grounds in reasonable repair? Join a Rota - we have a whole range of those including worship-related duties - the more people on a Rota, the less frequently you have to do it, and you can swap duties with others on the Rota to cover when you're unable to. Become part of the team. For instance, we need to replace, repair or refit fixtures & fittings in each Church & the Church Centre, & exterior notice boards and other signs - could you donate your skills & time to do that? Or your time & energy to periodically fill the potholes in the Christ Church Car Park, for instance? 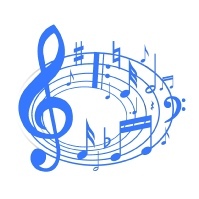 Maybe you have musical talents, and would like to join with our musicians in our worship? 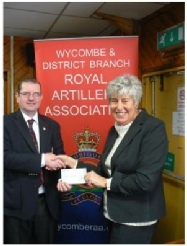 The High Wycombe Branch of the Royal Artillery Association recently decided to help with the cost of maintaining the churchyard at Holy Trinity Church Penn Street which contains a memorial to a distinguished Royal Artillery soldier, Sir Frances Warde. He fought in the Crimean War, was present at Cadiz, helped Wellington defeat Napoleon at Waterloo, and was knighted in 1873. 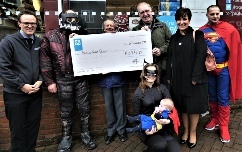 Our photograph shows Mr Stuart Reid, Branch Chairman, presenting the cheque to Mrs Joan Wainman, Church Warden, Holy Trinity Church, Penn Street. 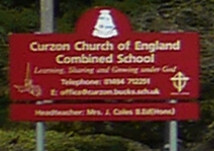 Curzon School, Penn Street, was assessed by an RE Quality Mark Inspector in early summer, and the schools regular RE lessons gained high praise as did the Christian distinctiveness on the institution. Pupils demonstrated knowledge of a wide range of religions and through the Standing Advisory Council on Religious Education (SACRE) enjoyed visits to a Mandhir, a Sikh Temple and a Jamia Masjid Mosque in Slough. This enabled strong links to be forged for the school. gave our church an early Christmas present. 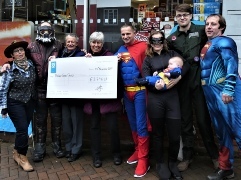 Pictures show the Branch Manager (Superman) and staff together with senior members of the COOP management team. 12:30 to 01:30 pm - at the Church Centre, Holmer Green, (HP15 6XQ). a cup of tea or coffee, all for £2.00. The friendly company comes free! Open to all. Penn Street! More information later. Sundays through until 1 September 2019 at Holy Trinity Church, Penn Street (HP7 0PX). We need more Helpers for Cream Teas. Please consider joining one of the teams on a Rota. The more people on a Rota, the less frequently you have to do it, and you can swap duties with others on the Rota to cover when you're unable to. Please have a word with Judy Knight. See our weekly Newsletter for a little bit more on these or other items.